Compatibility: : iPhone 7s/6s Plus; iPhone 7/6s/6/5/5s/4 (Not 6+) Samsung Galaxy S7/S6/S5 (Not Edge), HTC One M9/M8, LG G3/G2 Nokia Lumia, Sony Experia and More. ID card, concert tickets, cell phone, wallet, keys and other little things. Please allow 1 to 3mm differs due to manual measurement. Your satisfaction and positive feedback is very important to us. Please leave positive feedback and 5 stars if you are satisfied with our items and services. Meanwhile, it is highly appreciated if you could contact us first when you have any problem with our items or services. We will do our best to solve any problems and provide you with the best customer services. Thank you very much. 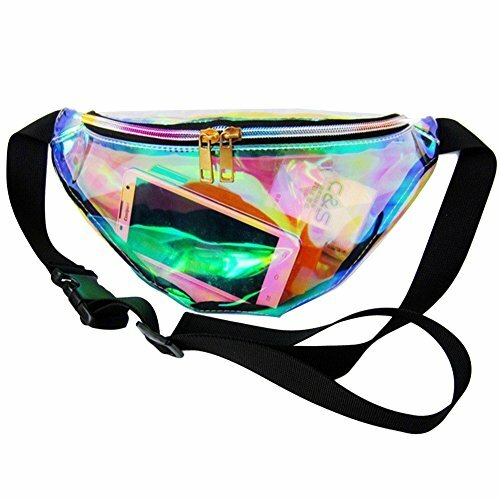 SUPREME MATERIAL: Classic hologram PU material, 100% brand new, unique and stylish. DRY POCKET PROTECTION: This bag could easily keep the water out. Take your car keys, smartphones, ID, wallet, credit cards, cash or passport out with you under any wet circumstances. ADJUSTABLE WAISTBAND: It comes with adjustable buckle, easy to adjust wite tightness according to your waist;Comfortable to take with. Double zipper puller for you to save your belongings. ENJOY OUTDOOR ACTIVITIES: Utility belt pouch is suitable for fitness outdoor sports, running, hunting, hiking, cycling, jogging, travel, treadmill, festival, camping and leisure life. SIZE: 12.6*6.1 in(L*H), Net WEIGHT: 5.99 oz. Please read the size information carefully. If you have any questions about this product by Mounchain, contact us by completing and submitting the form below. If you are looking for a specif part number, please include it with your message.